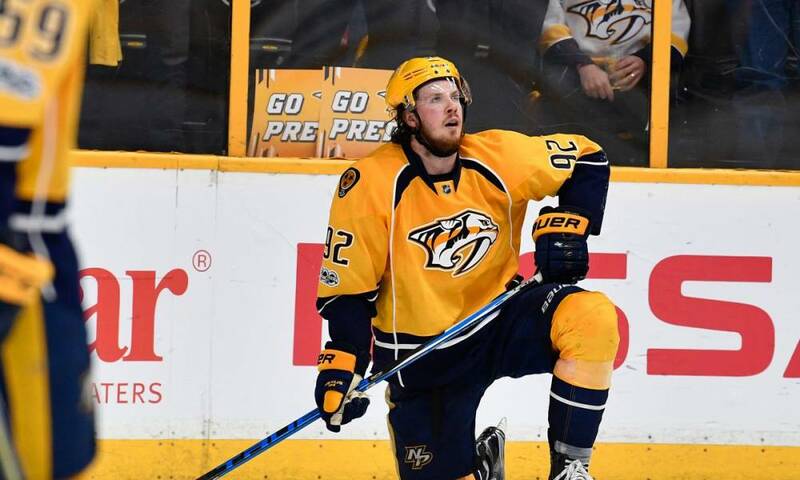 The Nashville Predators beat the Tampa Bay Lightning 3 – 2 on Monday thanks to a solid Ryan Johansen performance. Ryan Johansen had a goal and an assist to help Nashville beat the Lightning for the second time in a year. Filip Forsberg and Kyle Turris joined Ryan Johansen on the scoresheet with one, while defenseman Mattias Ekholm had two assists. Goalie Pekka Rinne, who has won nine and lost one against Tampa Bay, made 29 saves in the game. The result takes the Nashville Predators to 15 – 5 – 1 on the season. Meanwhile, the Tampa Bay Lightning is 14 – 6 – 1. The match might have ended in a 3 – 3 draw were it not for a disallowed goal for the Lightning. Forward Alex Killorn scored at 18:03 of the second period but was penalized for tripping Predators defensemant Ryan Ellis.